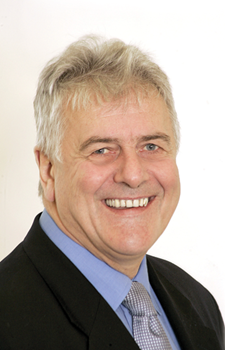 Conservative and Unionist MEP Jim Nicholson was elected in 1989 and has previously served as a UUP Assembly member (1982-1986) and a councillor in Armagh (1977-1997). He was also elected as the first MP for Newry and Armagh in 1983 but lost the seat in 1986 in a by-election called in protest at the Anglo-Irish Agreement. He sits on the Parliament’s Agriculture and Environment Committees. Jim is a native of Armagh and is married to Elizabeth, with six sons and one daughter. I became involved in full-time politics when I received a phone call from the late MP Harold McCusker before the 1982 Assembly elections, telling me to put my name on the ballot paper, and I was successfully elected as an MLA that year. I then became a Member of Parliament in the 1983 general election and MEP in 1989, where I have served since. I have had the privilege to have served at all levels of government. What are the most challenging and enjoyable parts of your job? procedure applies. It changes the role of an MEP because it gives Parliament a say in the legislative process that they wouldn’t otherwise have had. Neither the Commission nor the Council has quite worked out yet how to handle the Parliament’s new powers. For example, I find myself in an interesting position with my legislative report on the Commission’s proposals for the future of the dairy sector, because many view my report as the precedent for how co-decision will work in practice in the area of agriculture and rural development. Through my job, I have fantastic opportunities to meet people from different walks of life. I recently spoke to senior pupils at Ballyclare High School and their interest in politics and modern languages was so refreshing to see. I have also been very lucky to have been appointed as fifth Vice-Chair to the African, Caribbean and Pacific-EU Joint Parliamentary Assembly, and have therefore been becoming more involved in international development projects in Brussels, at home and farther afield. What is the importance of Europe to Northern Ireland? Approximately 70 per cent of legislation dealt with by the Assembly comes from the EU so Europe is of fundamental importance to Northern Ireland. It is a reality we cannot escape and so my view is quite simple: we get in there, fight our corner and get the best deal for Northern Ireland we can. I have always thought of myself as a Euro- realist, acknowledging that in some areas Europe can be a force for good. For example, why shouldn’t 27 member states co-operate closely on areas such as environmental protection and combating climate change? But I very clearly oppose the idea of an ‘ever-closer union’ and UK membership of the eurozone. Only a fool would deny that the European Union has been good for Northern Ireland in relation to funding and infrastructure. How much influence does Northern Ireland have in Europe? I think we need to consider two things. Firstly, Northern Ireland has a population of 1.7 million, so we are a small region when one considers that the EU has a population of 500 million, and secondly, we are also located on the geographical periphery of Europe. Despite this, Northern Ireland has punched above its weight. This is clearly demonstrated by the Peace funding which I helped to secure for Northern Ireland along with John Hume and Dr Ian Paisley. The Peace programme has delivered over £2 billion since 1995 to help build peace, partnership and reconciliation in Northern Ireland. Due to our particular circumstances, many regions with the EU would be envious of Northern Ireland’s ease of access to the corridors of power in Brussels. Given the recent enlargement of the European Union, it’s getting harder to compete and we can no longer plead special status. This is why it’s more vital than ever that the Executive and Assembly up their game in Europe. You travelled to Haiti following the earthquake there. What did you take from that experience? Nothing could have prepared me for the devastation I saw in Haiti seven months on from the earthquake. I believe that the international community cannot forget the Haitian people and we must commit to ensuring they get the government they so desperately deserve. I believe education is central to reducing poverty. Around 80 per cent of education was privately provided and one in every two children received no education prior to the earthquake. However, seeing the teacher training schools, funded by the EU, gave me hope for future generations. We must invest in our young people, wherever they are. Northern Ireland needs to play its role in reaching out to others in need and this is why I firmly support the International Development Strategy published by the Assembly’s All-Party Group on International Development. What three things would you like to achieve before the next European election? 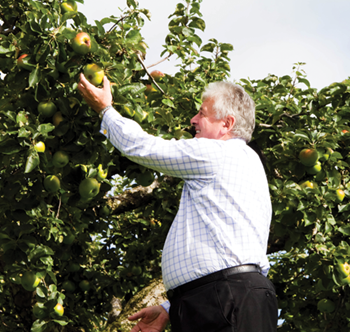 Firstly, it is a huge ambition of mine to help put in place a Common Agricultural Policy (CAP) that delivers for farmers and consumers post-2013 and which also provides food security for the future. Secondly, I would like to secure a successor programme to Peace III so that local groups can keep up their good work. I would also like to see Northern Ireland become even more outward-looking, sharing our learning with others and enhancing our understanding of global interdependence. I’ve always said that I’ve been very fortunate to have two careers that I love: politics and farming. When I’m home there’s nothing I enjoy more than spending time on the farm surrounded by family and friends. And on my constituency days, driving between appointments in Northern Ireland, I like listening to Johnny Cash and Abba.